Have you ever noticed that when you paint a room you give it an instant facelift? There’s just something about a new coat of paint that can transform a space. The exterior of a home is no different. If it’s been a while since you’ve painted your home’s exterior, it might be time to give it that facelift. Wood siding needs to be painted periodically to revamp after weather or just to update the color and style. 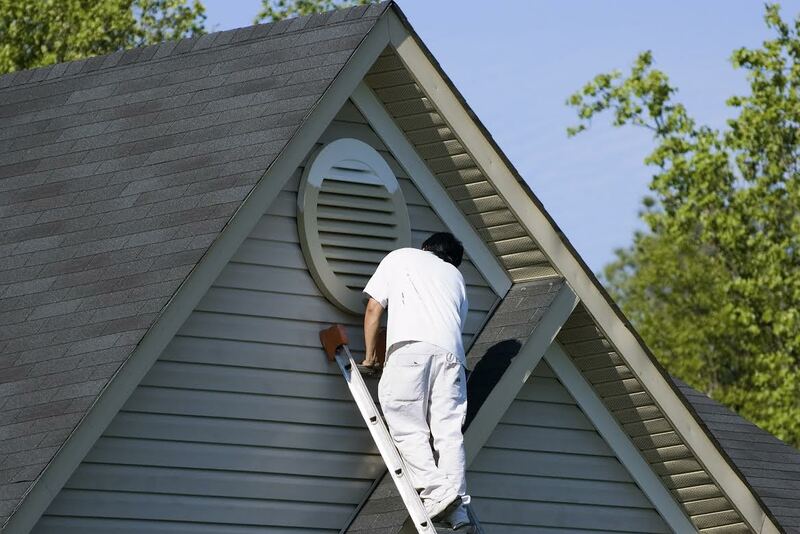 Painting the exterior of your home is a huge job, requiring tall ladders and careful painting. Hiring a professional gives you the opportunity have the house painted more quickly and make sure that the job gets done right. So – how can you find the right contractor? Know when to hire. This is actually the perfect time of year to hunt down an exterior painting contractor. The optimal temperature for painting is somewhere between the low and mid-70s, making fall ideal. You’re also less likely to run into the problem of rain during the fall than you are in spring or summer. Check the Internet. Remember to always take reviews with a grain of salt, but it’s still a good idea to check the Internet or talk to friends about local companies. Find out who they recommend and why. Call those companies and set up an interview to get to know who would be painting your home. It’s important for you to like and trust your Maryland exterior painting contractor. Talk about pricing. Once you’ve set up a meeting with a couple of different companies that you’re interested in, talk about pricing. Most contractors will give you an itemized list of your quote so that there’s no question where your money is going. Remember that the cost of paint, other supplies, and labor should all be included in the cost. Weight your options. Now that you’ve met the contractors and seen all of the different pricing, you can weight your options and make a decision. Remember to factor in other people’s reviews, your own intuition, and pricing into the decision. Don’t let just one factor make the whole decision for you. We do a lot at Atlantic Maintenance Group, but painting is one of our specialties. We do interior as well as exterior painting and are careful to make sure that everything looks exactly as it did when we got there once we’re done – except for the exterior of your home, which will be new and improved. When you’re ready to give your home a facelift with an exterior paint job, give us a call at 410.768.4720 or visit the website today to get your free quote! You can also follow us on Facebook, Twitter, Pinterest, and Google+ to see how we’re growing! This entry was posted on Friday, August 29th, 2014	at 4:48 pm	and is filed under Blog, Painter	. You can follow any responses to this entry through the RSS 2.0	feed. Both comments and pings are currently closed.